Chinese New Year marks the second New Moon after winter solstice and will fall on January 23th, 2012. 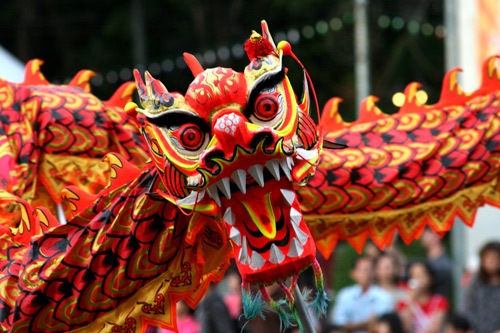 (According to the Chinese calendar, 2012 is the year of the Dragon.) 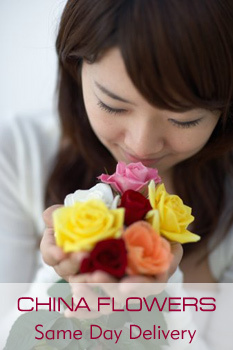 ChinaFlowers.net can help usher in the Chinese New Year with a special gift delivered right to your front door. For Chinese New Year celebrations, it is customary for Chinese families to have living blooms in the house, which symbolize rebirth and new growth. 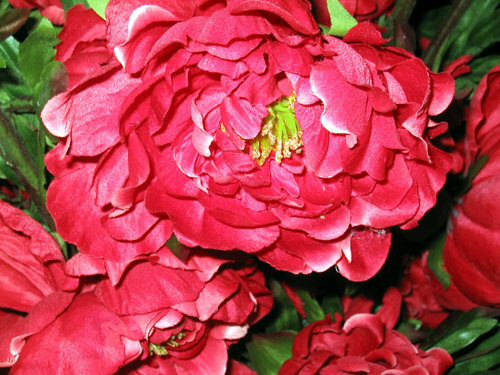 Highly prized flowers for the Chinese New Year are azalea, peony, and water lily or narcissus. The Chinese believe that without flowers, there would be no formation of any fruits, which, in turn, would negatively impact a family’s fortune. Therefore, it’s critical to incorporate flowers into your Chinese New Year decorations. Chinese Lanterns: Send a head-turning bouquet containing papery Chinese Lantern blooms, symbols of happiness and good luck in Chinese culture. Bright yellow Asiatic lilies and burgundy foliage accent these lanterns. Lucky Bamboo: According to an ancient Chinese tradition, the Lucky Bamboo plant brings happiness, wealth, and longevity: the ingredients for a happy life. Perfect for work or home, this gift can create harmony in any environment. Azalea Bonsai: Many Chinese families will have blooming azaleas in the front entrance of their home during Chinese New Year where guests first enter the house. This bonsai makes doing so easy for anyone. Sunflowers: Having Sunflowers in your home generally invokes having a good and prosperous year. Amazing flowers fro Chinese New Years. Very inspirational. You actually make it seem really easy along with your presentation however I in finding this topic to be actually something that I feel I might by no means understand.